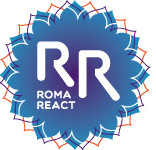 RomaReact is a blogging space developed by ERGO Network and individual young Roma activists. Anyone can share their stories on RomaReact in order to create a new narrative for Roma. RomaReact is about us. We are people – both Roma and non-Roma – who want to shape the public debate on Roma inclusion. We want our voices to be heard. We are connecting through RomaReact, an interactive multimedia mapping platform that allows us to share everyday Roma realities and to challenge the stereotypes and prejudices that Roma face. Through RomaReact we build a global online community seeking social change and justice. Through the RomaReact website we want to present a positive image of Roma by sharing the culture, fun and real stories of real people. We want to promote Romani people as integral to our countries, as well as promote a sense of responsibility of each of us to contribute to a fair and equal society. RomaReact is built on the experiences of ERGO Network and its members and friends who focus primarily on Roma grassroots empowerment and mobilization. Together, we can promote our activities and events and we are looking forward to yours. We use RomaReact as a digital space to mobilize even more young people to actively participate in society and become agents in their own lives as well as equal and respected citizens.